Construction is a hazardous job filled with perils that could cause illness, injuries, and even death. According to OSHA, 20 percent of all workplace fatalities in 2013 occurred in construction. This equals 828 deaths. While there are many sources of construction site injuries, construction's Fatal Four accounts for over 57 percent of construction workers' deaths in 2013. Falls -- Falls caused 302 deaths in 2013. Construction workers are often required to work from high scaffolding, ladders, windows, or roofs. OSHA regulation 1926.501 requires employers to have fall protection systems such as guardrail systems, safety nets, or personal fall arrest systems. Being struck by objects -- Falling objects caused over 80 deaths when they struck unsuspecting workers below. OSHA regulation 1926.501(c) specifically addresses protection from falling objects. The regulations require employers to erect canopies, toe boards, screens or guardrails systems and to keep objects away from edges from which they could fall. Employees must also wear hardhats. Electrocutions -- Electrocutions follows closely behind being struck by objects, causing 71 fatalities in 2013. According to OSHA, employers have a duty to ensure that electric equipment are free from recognized hazard likely to cause death or physical harm to employees. Being caught in or between equipment -- This fourth cause of construction deaths trails far behind the other 3, only causing 21 deaths in 2013. In these situations, construction workers are often caught in large machinery or between large fallen supplies. In happier news, the number of work place deaths has actually declined 66 percent since 1970. 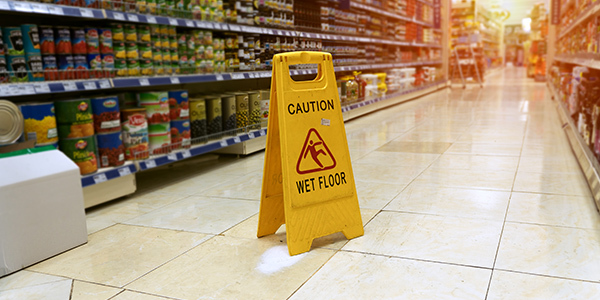 If you've been injured in a workplace accident, you may be eligible for workers' compensation. Workers' compensation will pay for your medical bills and compensate you for lost wages. How much money you'll get and whether you qualify depends on the workers' compensation laws of your state. However, you'll generally be eligible for workers' compensation if you can show that the injury was work related. Work related means the injuries were caused by the conditions of your work place or your work duties. If you've been injured, go to a doctor and get treatment immediately. Then, notify your employer of the injury, and file a claim as soon as possible. Most workers' compensation laws have time limits on when you can file a workers' compensation claim. An experienced local workers' compensation attorney will be able to help you assess your injury and file a timely claim.